When my wife and I were first married, we decided to try gardening in our yard in the Chicago suburbs. It was an extremely fertile plot of land, so the two tomato plants and one jalapeño plant gave us an abundant crop. In fact, the jalapeño plant was too proficient, and I could not give the peppers away. So my father-in-law and I decided to try canning them. We sat down at his kitchen table with two very large bags of peppers. We donned our rubber gloves (because, after all, with that much jalapeño chopping we didn't want to irritate our skin). About ten minutes into what ended up being a two hour ordeal, the acid from the peppers leached through the gloves and our hands started burning. About 30 minutes in, pepper-infused sweat was pouring down our faces and our eyes were tearing up. So here we were--two grown men at a kitchen table, griping about jalapeños with tears streaming down our faces, and in walked my wife and my sister-in-law. Then, to make matters worse, when we canned the peppers, we ended up with two half-pint jars of mushy paste that we decided to throw away. I have never again attempted to can anything. So the question has plagued me for more than a decade: What does one do with an over abundance of hot peppers? Here's the solution: Homemade, good for you (okay, how about 'not terrible for you?') 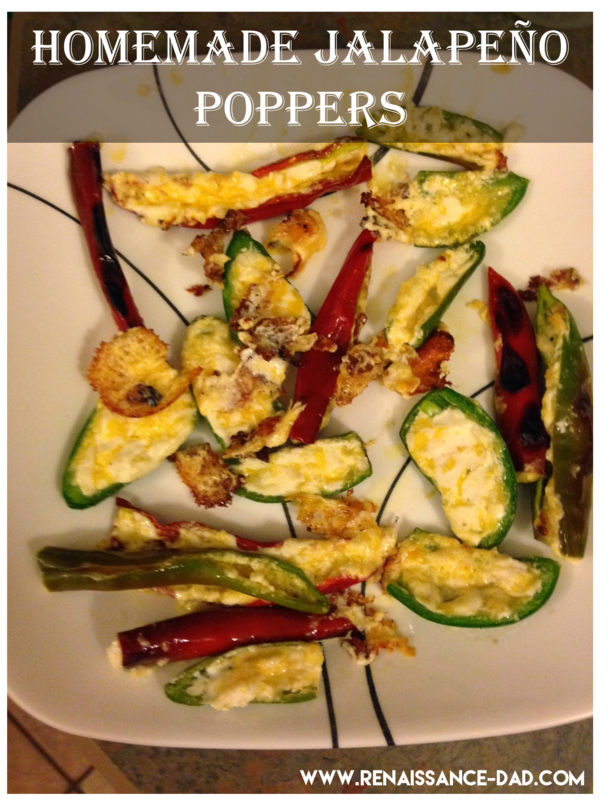 jalapeño poppers. These are really simple to make, and even turned my (self-proclaimed) wimpy wife into a jalapeño junky. Start with the peppers. I have used jalapeño, anaheim, serrano, and whatever hot pepper I can get my hands on (a big thanks to Ed and Shelly for being my constant supply of hot peppers that I don't grow in my yard). Cut the peppers in half and scrape the seeds into your compost pile. In a small bowl, mix equal parts grated cheddar cheese and cream cheese (you can use neufchatel for a lower fat option). Scoop the mixture into the pepper halves, place on a baking sheet, and bake in the oven at 350ish (or on the grill) until the cheese is bubbly and slightly brown. Please note that the cheese will melt out of the pepper and will cause a moat of bubbly goodness surrounding the pepper. These can burn rather quickly, so keep an eye on them. These are a festive appetizer, and frankly, one of my favorite things about them is that the kids don't like them. This means that on jalapeño popper days I will get at least one thing that I can eat without a kid at my elbow saying, "Daddy, can I have a bite?" Isn't that worth at least a little bit of heartburn? As I mentioned in an previous post, I have not always been successful with gardening. One of my first gardening experiences was with growing watermelons. I built a raised bed, filled it with soil, and grew some amazing watermelons. In fact, my very first Facebook picture was of me holding a 20 pound watermelon. That year, I grew about 10 watermelons of significant size. Round 1, the birds ate the seedlings. Round 2, the seeds never emerged. The vine is taking over my backyard! Round 3, feeling like Jack Nicholson in The Shining, I thought I was losing my mind. I went back through the past eight years of gardening to figure out what I was doing wrong. 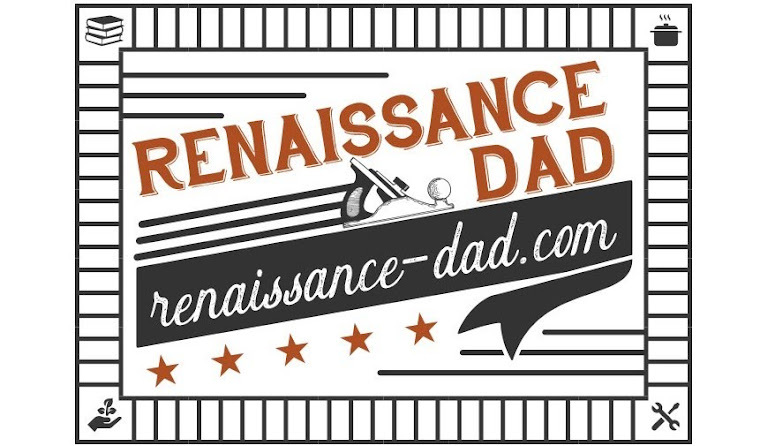 It finally hit me – that first year, I planted watermelons in a foot of pure cow manure. Cow crap made my watermelons grow. And guess what? The watermelons developed a wonderful sweetness in spite of (or because of) the manure they were planted in. But would it work again? I built a small bed, filled it with six inches of cow manure, put in some seedlings, and protected them from the birds until they were large enough to choke a camel. The result? I currently have one watermelon vine that is ten feet wide by 15 feet long, with dozens of flowers and many small melons (cue junior high sniggering). As Big A, my three-year-old, would say, "Shablam-o!" Will I end up with lots of watermelons this summer? I’m not sure, but I hope so. Do I have more hope this year than in years past? Absolutely. I discovered this little beauty when taking the picture for this post. I had a similar epiphany when I was looking at a tree in the dirt lot next to my church a few years ago. The field had no irrigation, and subsequently was nothing but dry dirt. However, there was one massive, healthy tree growing in the middle of this field. As I pondered that tree, I had another epiphany as to why the tree was growing. Its roots went down into the septic tank. That tree was alive because it was gleaning life – water and nutrients – from waste water. This tree is getting water from somewhere. But where? I started thinking about the things that shape our lives. In my experience, the most difficult situations have the biggest impact on who I am, have shaped me and made me stronger. They are not fun at the time, and nobody wishes to go through these difficulties, but on the back end we come out stronger, wiser, and usually more ready to take on life. I am thankful, after all, that watermelons do not taste like the soil they are planted in. Here's to a life of sweetness in spite of the manure that happens! 1. Patterns - kids as young as three can begin to recognize patterns. 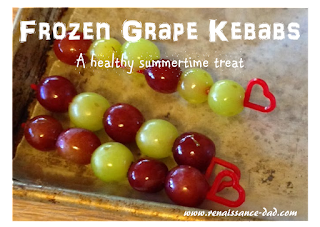 Give them a skewer with a pattern, and ask them which grape should go on next. 2. Addition/Subtraction - give older kids two red grapes and three green grapes, and ask them how many total grapes they have. 3. Contrast (Big E's favorite) - have a skewer with four green grapes and one red grape, and ask them to make a contrasting (or opposite) skewer. Now go on out there and enjoy some frozen grapes, especially if you grow them in your garden. ...and Little E loves eating them.